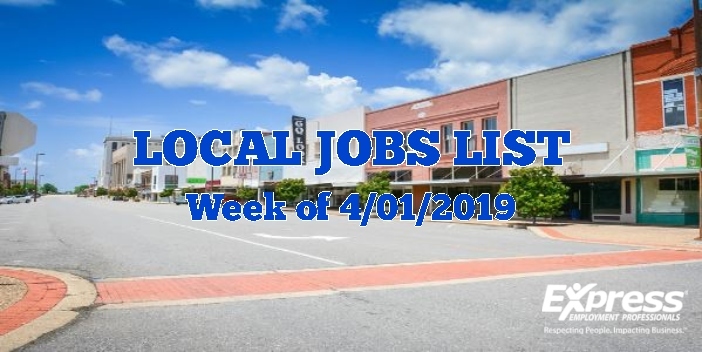 Our local employment experts with Express Employment Professionals has put together another fantastic list of job openings in our area. Do you have a talent for video editing? Like animals? Are you a welder? So many great jobs, take a look. Working in a beverage warehouse. Will be stacking pallets, and counting merchandise. Must be detailed oriented and good inventory skills is a plus! Great company and great opportunity! Applicant must be able to use a scan gun and stage, load and unload truck and put into inventory. This position requires dependability, good communications skills, and a self-starter. This position is responsible for producing a variety of video content from concept through end deliverable – including presentations, in-house training, product and sales videos, customer testimonials, and quick-turnaround assets such as Boot Camp videos, social media video posts and internal videos. These videos provide accurate and important safety, regulatory and policy information to our clients and employees. The Validation Supervisor is responsible for ensuring all pharmaceutical manufacturing and cleaning processes are properly validated including the equipment used for them as per requirements of 21CFR211 and current and applicable FDA guides. A four year science degree with biology, chemistry, pharmacy, or engineering major is preferred. Minimum of 3 years of pharmaceutical manufacturing experience is required. Local Texarkana, AR Utility Company is seeking a superintendent / Project Manager. Will be going from job to job making sure that jobs are on schedule and work out any issues. Will be a general superintendent, 10 years of project manager exp. contracts and managing jobs. A Hope Company is looking for Professional Tire Technician! Job duties include dismount and mounting tires, installing tires on all types of vehicles, repair flats, balance on passenger and cleaning up the shop! Must have a Valid Driver License! Hours are Monday-Friday 8am-5pm and rotating Saturdays 8am-12pm. Starting pay is $10.00 per hour. Company has Great Insurance and Benefits!! Apply at expresstexarkana.com!! Local Tire and Service Center is seeking a tire tech to do installs, repair tires, oil changes, minor auto repairs, and unload tires. Experience is required. Candidate must have steel toed boots. Must also have a clean criminal background and valid Dr’s Lic. 1. Research numerous topics without close supervision, managing several topics and projects within multiple industries at multiple times, but will primarily be focused on the Trucking and Education industry. 2. Write scripts based off of requests and recommendations from Content Committee. 3. Assist in storyboarding for the purpose of transitioning scripts to producers. 4. Compile and organize all relevant materials including but not limited to, scripts, research notes, storyboards, and citation lists. 5. Effectively manage research and scripting workflow, timelines, project direction, quality and timeliness of final deliverables. Use communication tools to keep the Video Production Manager apprised of project’s status. 6. Keep information up to date as rules and regulations change within industries. Advise VPM and Content Committee when content reaches reproduction thresholds. 7. Ensure creative assets adhere to brand guidelines and tone. 8. Work collaboratively as part of a production team or independently, if necessary, on projects. 9. Follow production schedules set by manager. 10. Communicate with VPM information about projects to enable writing catalog descriptions and marketing materials. 11. Travel, if necessary, to interview individuals or assist in client on-site production work. Pulling parts, working with numbers, signing off on manifests, delivery, and collection. Must be detail oriented, good with numbers, good with customers, and have a clean driving history. Great company! This position is responsible for providing technical information and assistance to departments for the purchasing of supplies, materials, and equipment in accordance with appropriate laws, ordinances, and budget constraints. Duties include reviewing all purchase requisitions to ensure they are in accordance with the purchasing policy as set forth; provides technical information and assistance to personnel and employees of other departments regarding purchasing procedures, development of bid specifications, purchasing laws and ordinances, and approximate cost of items requested; monitors purchase requisitions for purchases which result in the capitalization of a fixed asset; provides fixed asset information to be recorded during the annual audit process; and assists the Finance Director with all matters related to the Advertising and Promotion Commission. Other duties as assigned. Local Pest control Company is seeking a worker to mix chemicals, spray houses and learn how to do all aspects of pest control. Must have a clean background, because they will be working in people’s homes, clean driving record because of company truck, and excellent customer service. Start pay 10.00 per hour. Company offers a benefit package!!! Local Texarkana, AR Company is seeking Outside Plant Techs. Must have Experience in operating equipment, may be burying fiber optic cables &amp; drops, maintenance on equipment, installation and repair on equipment. Hours are 8am to 5pm, but can be 10 hours a day including Saturdays. Pay 15.00 and Up DOE. Excellent Benefit Package!!! Busy Texarkana Jewelry store has an immediate opening for an Inside Sales Person!!! Duties will include all aspects of inside sales. Candidates MUST have excellent customer service skills! This is a very professional position and requires candidates with a professional attitude. Locally owned Texarkana company is seeking a full time Human Resource Assistant. This person must have 5+ years experience in payroll, workers comp, on boarding, new hire orientation, and much more. Local Hospital is seeking Exp. Housekeepers for full time work!!! Duties include mopping floors, general clean up, and linens. Must be able to pass a background check and must have a High diploma or GED. The day shifts are 7 to 3:30 and must be able to work on the weekend. Will be loading rail cars and putting paper on conveyor belts using clamp forklift. Must have forklift experience. Great company! This candidate must have Great Customer Service Skills and good work history. This Candidate must have cashier and/ or customer service experience on a previous job and you must be able to pass credit check!!! Local DeKalb, TX company is seeking an Exp. Finisher / Carpenter to sand and finish Furniture, mantels, bar tops, ETC. Must have Exp. Hours are7:30am to 4:30 pm. May work some weekends. Must have a valid drivers Lic, may do some deliveries. Local Equipment Company is seeking a farm and heavy equipment mechanic. Applicant must have formal training, have worked for a dealership and must have own tools. Exp. in Engine, power trains, transmissions, and hydraulics. Starting pay depends on skills. Company offers great benefits. Immediate opening!!!! Throwing paper on conveyor belt, sorting paper, and general labor for recycling company. No climate control. Company also offers the opportunity to be trained on forklift and certified through the company. Great opportunity and great company to get your career started! Local Texarkana, AR Company is seeking a construction Estimator. Someone with college degree in engineering. Excellent computer skills. Experience with Water and sewer would be a plus. Must have background in construction estimating. 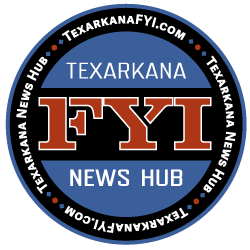 Local Texarkana Building Company is seeking a Carpenter/ Door Builder. This candidate must have mechanical ability, woodworking experience, Saw experience, nail gun, and carpentry background. Some assembly required as well. Start pay $10.00-$12.00. Monday – Friday. 7am to 4:30pm Company offers insurance and benefits. Local road Construction Company is seeking backhoe operators. Must have 2 years experience. Will be pulling concrete panels. This is a long term position. Hours are 7am to 6pm – Monday – Friday with some Saturdays. Applicant must have experience in industrial maintenance and electrical background. Will be troubleshooting and repairing industrial machines. Must have good communication skills and work well with others. Must be a team player. Will be working the weekend shift – Friday, Saturday, and Sunday 6am to 6:30pm. Pay DOE Class A CDL w/ Warehouse Forklift Must be able to drive a forklift and load and unload trucks and lift up to 50lbs continuously. Work a 12 hour Shift and hours will vary. Local Texarkana, TX Manufacturing Company has openings for welding inspector. Qualifications include Mig/wire and stainless steel welders, or carbon welding, or stick welding. Applicant MUST be able to read a tape measure. You will have to pass hands on welding test. A good stick welder is an excellent candidate. Start pay is 13.00 per hours and the work week is Monday through Friday 6am – 6pm. Company offers great Benefits! Apply Now! FOR MORE INFORMATION OR LISTINGS… CLICK HERE!